Suitable as indoor or outdoor barrier rope. 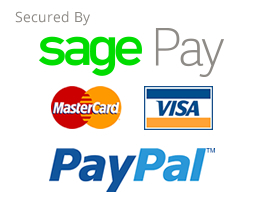 Can be used with our range of brass or chrome end fixings. 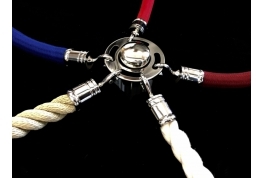 We can make up your barrier ropes to your required length - please give us a call to discuss. 24mm Barrier Rope. Available in various colours and constructions. Each Barrier Rope is supplied with a Chrome Hook fixed at each end to allow easy attachment to a barrier post. 24mm Sythethic Hemp rope. 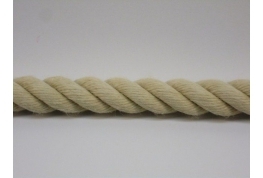 Natural looking soft and flexible rope often used for barriers, bannisters etc. 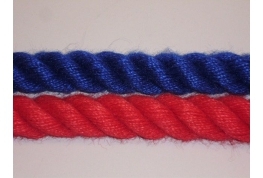 Barrier Rope - Hemp Coloured. Very similar to Synthetic Hemp in colour but has a slight sheen. A top quality barrier rope suitable for indoor or outdoor use. Will not shrink or swell when wet.